Air search has begun for the man who went missing after going over board on a fishing trip last Friday near Alifu Dhaalu Vilamando Island Resort and Spa. 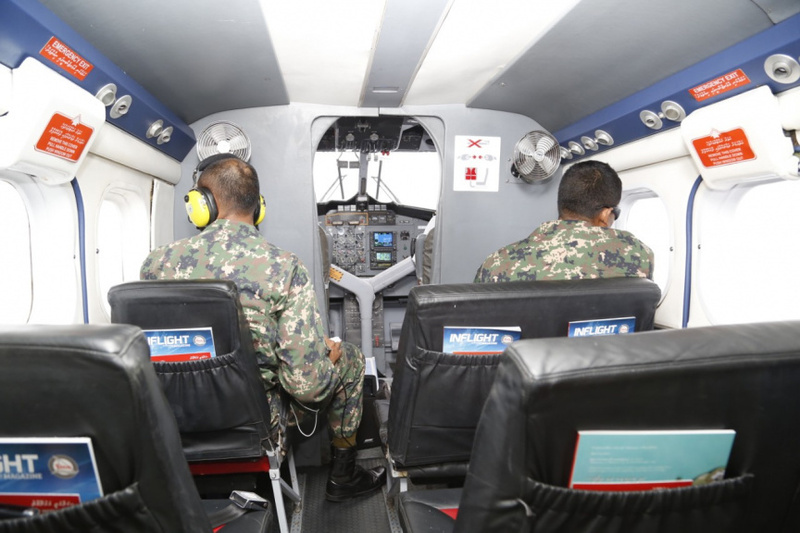 Media Official of the MNDF said that a TMA flight are being used since 11:30 a.m. this morning. And the Coast Guard divers are also at the scene taking part in the search along with fast interceptor craft searching the area. MNDF said that a non-spot search is underway to find the missing man and diving robot is also being used in the search. Last Friday, 56-year-old Ahmed Naseer from Faafu Atoll Bilehdhoo, went over board on the vessel named Target. At the time of the incident, he was wearing a black t-shirt and a beige trouser.